I help clients with their commercial property needs, be it acting for a company moving into new office premises, a high street retailer taking a shop lease, or a manufacturer seeking new factory premises. I act for both tenants and landlords ranging from start ups through to investors with a property portfolio which is actively managed. Although many of my clients hold property locally, I also regularly deal with clients taking premises across the UK ranging from London to Hull. My approach to a job is to quickly assess commercial issues and tailor my approach accordingly. Clients want to concentrate on running their businesses and I see my role as facilitating that. I joined Barlow Robbins in 2005 from a city firm having qualified as a solicitor in 1998. I keep myself busy with sport most weekends either running, supporting my two daughters at one of Surrey’s numerous hockey clubs or cheering on Sheffield United from the terraces! 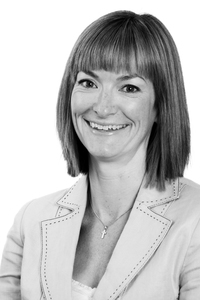 Senior associate and property portfolio management expert Victoria McDonagh is knowledgeable, energetic and responsive.